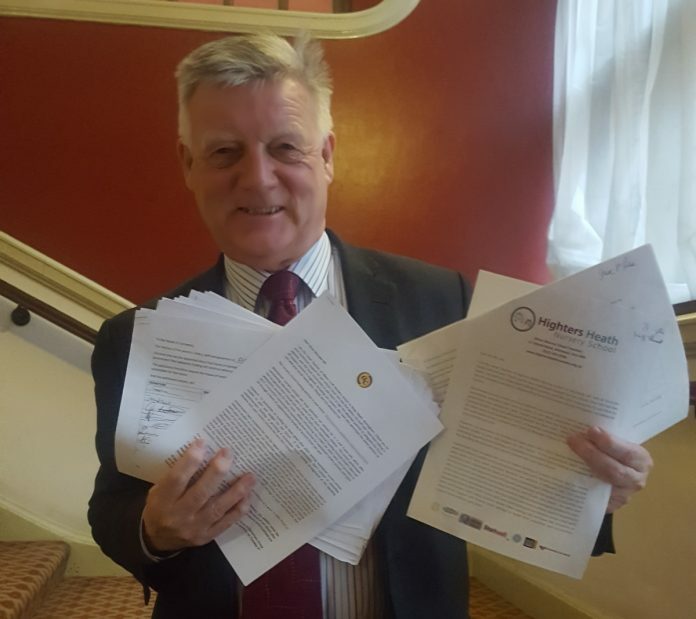 Today local MP Steve McCabe delivered a petition to Parliament, signed by hundreds of parents whose children attend Allens Croft Nursery School and Highters Heath Nursery School, calling on the Government to commit to funding maintained nursery schools after 2020. The Government has accepted the case for higher funding for maintained nurseries but they have given no guarantee on funding after 2020. The upcoming Spending Review in Spring will be too late for many nursery schools to set their budgets for next year – they need answers on funding now. Maintained nursery schools are local authority run schools for 2, 3 and 4-year-olds which offer outstanding education and care to some of our most vulnerable children. The current government has recognised their crucial role and that the Early Years National Funding Formula (EYNFF) does not adequately provide for their costs. When introducing the EYNFF for other early years providers in 2017, it therefore committed to maintaining level funding for maintained nursery schools until 2019-20 through a block of supplementary funding of around £59m per year. However, no guarantee on funding has been given after 2020, leaving maintained nursery schools unable to plan and budget for the future. If the government doesn’t commit to extending supplementary funding or providing sustainable future arrangements, nursery schools like Allens Croft and Highters Heath Nurseries will face closure. Nursery schools cost more than other forms of early years provision because they perform a different role. Their service transforms lives, especially for some of our most disadvantaged children. According to Early Education, 64% of Maintained Nursery Schools are in the 30% most deprived areas of England and 63% are rated ‘Outstanding’ by Ofsted and the rest are ‘good’. MNSs work closely with health and social care to meet the needs of vulnerable children. Steve said: “Allens Croft and Highters Heath Nursery Schools offer gold-standard education for over 200 children in some of the most disadvantaged areas of my constituency. Hundreds of parents have come together to demand that the government make clear their commitment to Nursery Schools now.